Google Search and Google Assistant got some new features this week. Google Search answers some questions on the onset without showing search results. That update should roll out eventually. We’re not sure how we feel about some questions never getting a full search. However, it should be really easy stuff like unit conversions or the weather. Additionally, Google Assistant is getting a Pretty Please Mode (not a joke). Google Assistant will reward people with compliments when talking to it in a polite manner. Both of these updates are a little weird, but not altogether unpleasant. Niantic’s Harry Potter AR game may be a Samsung Galaxy Note exclusive for a while. Reports allege that Samsung invested about $40 million into Niantic. This could mean Niantic games coming with Samsung devices by default. Additionally, there are rumors that the AR Harry Potter game could be a Note exclusive. Players would use the S-Pen as a makeshift wand during game play. This is all rumor, though. Thus, take it with a grain of salt. YouTube saw some big announcements this week. The first is the end of YouTube annotations. This one is definitely happening and soon. The official removal date is January 15th, 2019. Google already removed annotations from the YouTube editor back in May 2017 so this was just a matter of time. YouTube also announced new student deals for YouTube Music and YouTube Premium. The discounts give students a 50% discount or a price of $5 per month for YouTube Music and $7 per month for YouTube Premium. Cheetah Mobile is apparently at it again. The company allegedly defrauded advertising companies by taking credit for app installs it didn’t actually have a hand in. Thus, Cheetah Mobile allegedly took money from advertising that it did not actually earn. Cheetah Mobile denied any involvement and claimed that they couldn’t do that even if they tried. Rosen Law Firm opened an investigation to see if Cheetah Mobile is telling the truth. A new Humble Bundle is out now! This time around it’s all about board games. The price tiers are extremely reasonable this time around as well. You get seven games for paying over $1. Some of those titles include Agricola, a couple of Harold games, and Abalone. There is an $8 price tier as well. That includes some bigger names like Pandemic and Pathfinder Adventures. The $8 tier gets you an additional 11 titles along with the original seven. Hit the link to learn more! Turn Undead 2: Monster Hunter is a retro style platformer. It features a variety of weapons, some puzzle elements, and plenty of levels to play through. The movement mechanics are a little unique as well. You move one step at a time as do your opponents. It adds a bit of a turn-by-turn element like you see in JRPGs. The mechanic may be too slow for some, though, as the game does take place at very leisurely pace. The game is free to play. You can pay $5.49 to remove the advertising. There are a few bugs and the advertising in the free version is intensely bad. Those with little patience for ads may want to skip this one. Feedly updated their main app with a bunch of new features and UI. They also launched Feedly Classic for those who aren’t ready to switch yet. The app uses the classic Feedly UI, options, and settings. Feedly fans already know how this app works. You get a simple RSS reader with a bunch of customization options. It’s a good app for those who liked Feedly for what it was and not necessarily how it is now. It’s completely free with ads like its predecessor was. However, we recommend waiting before installing this. There is a hilariously annoying bug where the settings have black text on a black background. Feedly should probably fix that. Siralim 3 is another retro style game. This one lets you tame, collect, and train various monsters. It uses early 1990’s adventure game graphics and mechanics. The combat reminds us strongly of Final Fantasy Mystic Quest and other very early JRPGs. The game contains over 700 monsters to collect, randomly generated dungeons, and extremely rich end-game content. It shouldn’t be too hard dumping hundreds of hours into this game. That makes it great for those who want a real bang for their buck. However, there are some elements that get repetitive over time. 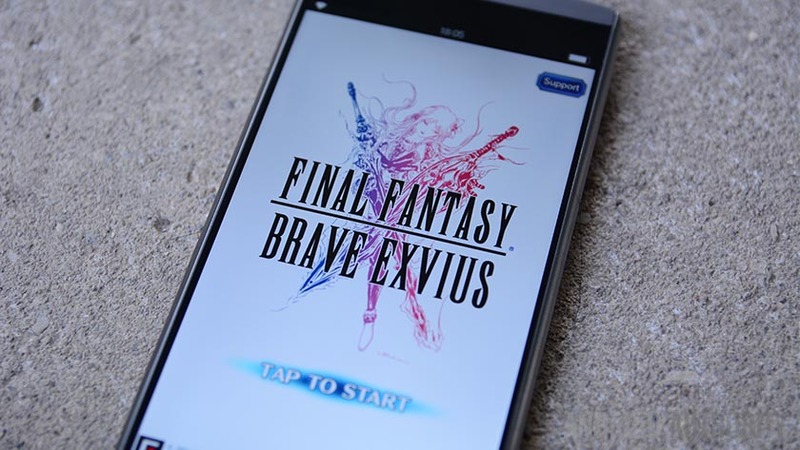 In any case, the game runs for $4.99 with no additional in-app purchases or advertisements. WakingNews Alarm Clock is a rare new alarm clock app. It combines various aspects of an alarm clock app with a news app. The app wakes you up with news briefings from various news outlets and it includes some pretty big names. You can set multiple alarms and the app shows the weather as well. We would like a much longer list of supported news sites. However, the concept is otherwise fun. Additionally, the app works well and the UI is clean and organized. It’s currently in beta. Thus, you can expect bugs and features to change here and there until the official release. Star Trek Fleet Command is a new Star Trek freemium game. It takes place in the Kelvin Timeline, a rarity in the mobile game space. It otherwise has a lot of typical freemium gaming elements. That includes a gacha elements, hundreds of somewhat repetitive missions, and some kingdom building elements. Players collect ships, battle the bad guys, team up with one another, and build up their star bases. The game certainly looks nice and played well in our testing. It’s not a bad experience if you don’t mind the freemium aspect. Obviously, you should skip the game if you don’t like freemium stuff. If we missed any great Android app or game news, updates, or releases, tell us about them in the comments! You can also click here to check out our weekly podcast!